"Thank you Sarah for transforming this wee dude from a baby who was very agitated with wind and unable to lie on his back without falling to his side (meaning that I had to carry him every second of every day) to one super chilled bubba who is much more comfortable in his wee body, able to wind himself and very contented." Maria & Baby Noah. "After years of suffering dizziness and excruciating pain in my neck I can honestly say I feel like a different person since being treated by Sarah. The pain has disappeared and I can do things painlessly now and with great ease." - CC from Peebles"
I was over visiting friends in Scotland for the past few weeks and had the ultimate pleasure of experiencing 4 ABC appointments with Sarah Bedford. During my initial consultation, Dr. Bedford assessed a distinctive ledge at the top of my spine, a ledge I've had for the past several years, which hindered breathing and out my first three ribs out of alignment. I am so happy to report that this ledge is no longer and I've experienced great success with only three full appointments. I will continue with the Advanced Biostructural Correction here in Canada. Thank you Dr. Sarah for solving an issue I thought I would just have to live with for the rest of my life. Kudos also to the frontline staff, in particular Sean, who made me feel so welcome. What the clinic says is true: you'd spend money on an expensive handbag - your health is worth so much more than a handbag you'd use for only a season or two... It's forever. I always ask people "What did you notice after your first visit?" "I've noticed I can turn my head further with less pain, so turning to look in the side mirrors of the car and behind me now is much freer and easier. Before, I used to have to turn my whole body!" "Breathing I would say has improved, I'm not getting as short of breath walking up stairs as I was and my back appears to be less painful." - Willie W.
"Over a period of about 8 weeks, I have seen significant benefits from my session with Sarah. My breathing, which throughout my life has been very nasally congested, is much easier and my head is clearer. Friends and family who know my 'stuffy nose' have been amazed at my progress! My posture is much more upright and I can feel a marked improvement and lessening of a pronounced curve at my neck/top of spine. Alongside these benefits, Sarah has also treated my successfully to remove numbness in my hands which I initially came to her for. Sarah's ability to explain clearly the technique, her attentiveness via email and text should there be any queries/problems, and her sunny and optimistic nature have made my experience under her care extremely positive, and I highly recommend her. ​Dorset's loss is Scotland's gain!" - Vanessa Morris. 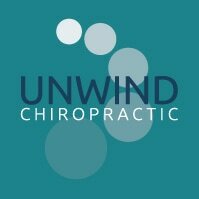 "I had been seeing different chiropractors for about 10 years and had never seemed to find much long term improvement in my pain and posture. Unfortunately I sit down at work, drive long miles and compete showjumping and dressage regularly, all of which have contributed to the long term back pain. I was recommended to see Sarah, in just a few visits the pain in my right shoulder had stopped and I'm actually standing up straighter and taller! "Even after one visit to Sarah I saw a huge improvement in my many symptoms. My dizziness went and my on and off blurry vision improved, which was a major thing. I was straighter, stonger, I had less pain. I now have more energy, I feel taller and upright - how I should be - I was turning into a hunched person before! I really recommend seeing Sarah." Louisa. "Having struggled with back pain for four years I was recommended Sarah by a colleague. Having also had an experience with a Chiropractor when I first injured my back I must admit I was a little hesitant. Sarah was warm and relaxed in manner from the onset which put me at ease and she took the time to listen to my story regarding my injury and current back pain. Sarah was able to explain her technique and sequence of procedures to correct my problem. It would not be a quick fix but would straighten my spine and lead to long lasting results and better body posture. Sarah was gentle with all the manoeuvres that she did to my spine and I felt the benefit after the second session. Due to her confidence and approach I was able to trust her, this in turn allowed her to make the corrections needed. I continued with my sessions for a period of six weeks and I can now get out of bed without any aches at all and my posture is so much better. Many thanks." Debs. "My ABC experience with Sarah is UBA UnBelieveAble. 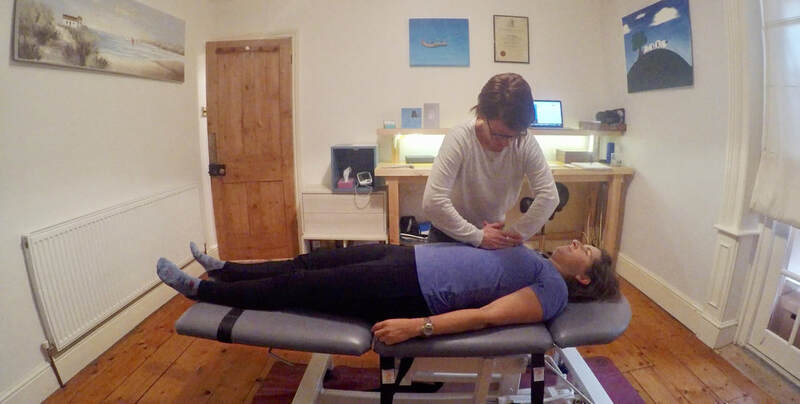 From my first consultation I felt at ease, not knowing a lot about this method Sarah has really helped me through, her explanation of the process is very easy to understand, and I feel very relaxed and trust her fully. From my first session, my arm did not feel so tight, it flopped to the side of my body more naturally when I stood up, as before I held it to the front of my body. I feel more upright, I had an uneven smile before, had a jaw ache after some sessions, now my uneven smile has gone, my family and friends have commented how much more alert I look, my posture and walking is so much better, I kept saying my body felt twisted before I had the sessions. I was diagnosed with Parkinson's two years ago, I feel this method has made a big improvement to my body. Thanks to Sarah. From a very happy client." Tina Taylor. "Hi Sarah, Just wanted to say thank you for helping Jez over the last few months. He was diganosed with sleep apnoea and had very disturbed nights with extremely erratic breathing. Since starting his treatment with you his breathing at night is even and regulated and he's sleeping so much more peacefully (and quietly!). ​AND... his feet, which had been so painful that he had to take early retirement, are now so much better that he is enyoying long walks every day. We cannot thank you enough." Tahmineh Watson.